2014 Monterey 186MS. - EXCEPTIONAL CONDITION!!! LOOKS LIKE NEW!!! 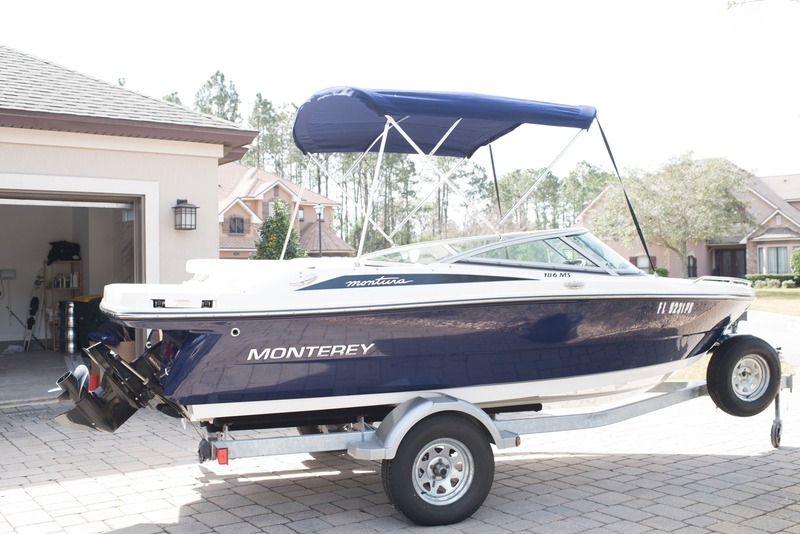 - Boat was kept in a covered storage since new. 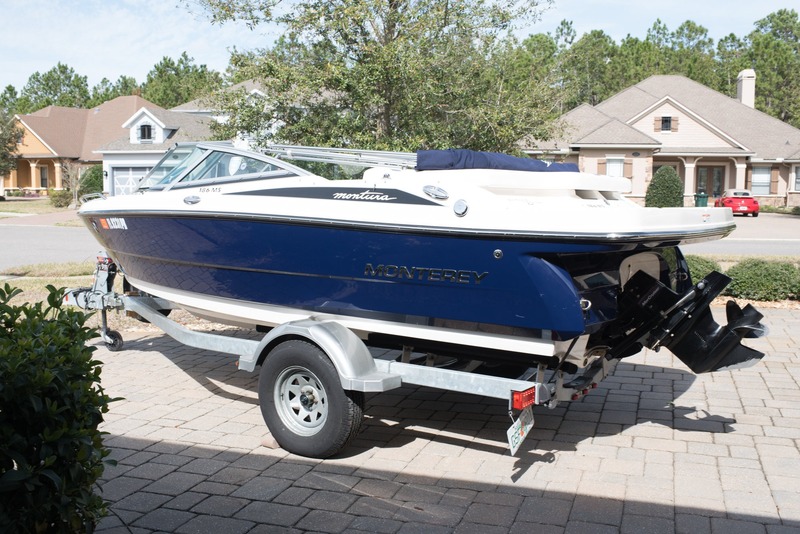 - Includes 8 life jackets and wakeboard/skiing equipment. Hull:Overall appears to be in excellent condition without any signs of fading or oxidation. Gel coat maintains very high gloss. There are no scratches, gouges, chips or cracks. The upgraded stainless rub rail is clean. The decals are in excellent condition without any signs of docking. The keel is in excellent condition without sign of beaching. There is an oversized extended swim platform with stainless boarding ladder. Boat length Overall 18’6” Interior:The upholstery shows to be in excellent condition without any rips, stains or any seams coming apart. The colors are vibrant and the vinyl is soft. The dashboard features upgraded stainless gauges and switches all in excellent condition and fully functional. There is an upgraded Jensen AM/FM/USB stereo with Bluetooth & iPod interface & speakers. 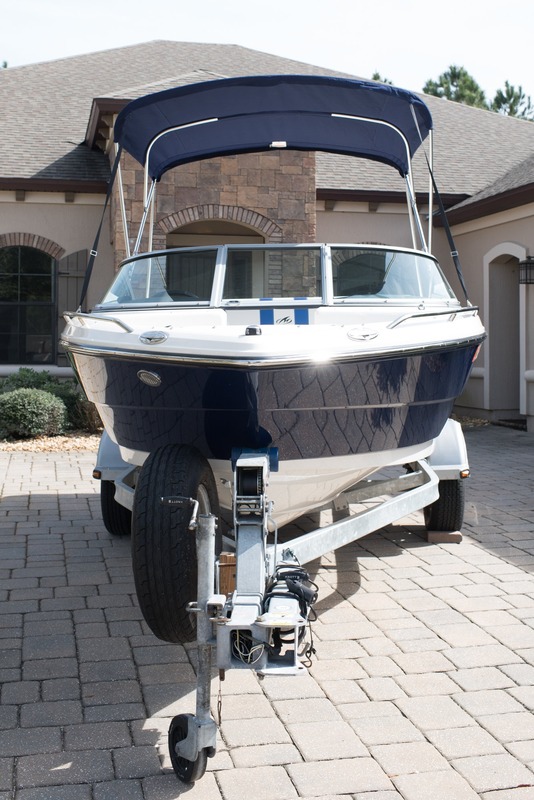 Wet storage with a 25-quart cooler as well as access to the battery switch is easy.There is an oversized Bimini top and a full ratchet cover. Mechanic:Powered by a Mercruiser 3.0 MPI 135 hp with Alpha 1 stern drive. Everything works accordingly. The engine, lower unit and 4-Blade prop, are in excellent condition. All the mechanical maintenance is up to date. Trailer:The custom single axle trailer is in excellent condition. Trailer has folding tongue for those of you looking to store indoors. 4 bunk system, 1200 lb. tongue jack, disc brakes, fully grounded lighting system, LED lights, and a spare tire.